One of the first surprises I had upon meeting penguins was a quirk of their behavior, you will often find penguins bow at each other. 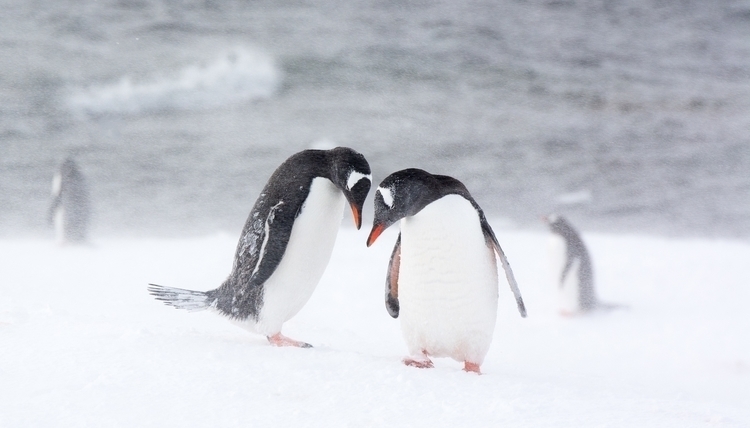 This is at least sometimes a courtship display, I'm told, but it wasn't a behavior I'd seen reflected in photographs, so when I got an opportunity to work in Antarctica in 2013 I set out to look for it, and I think this image captures a bit of it. The blizzard conditions were, relative to my other days on the icy continent, tough. This was really my only day on the icy continent where I returned to warmth before I'd expected to. And it was entirely worth it.